The CDK700 is a 27-inch, state-of-the-art, corrected Dall Kirkham telescope. On a Nasmyth mounting with precision encoders, it can point anywhere in the sky within a few seconds, to a precision of a few seconds of arc. The telescope has two focal positions. One is for imaging and photometry with a 4096x4096 (16 megapixel) CCD camera and filters, and the other is for spectroscopy with an echelle spectrograph. The telescope was designed and manufactured by Rick Hedrick at Planewave Instruments, and installed with his help at Mt. 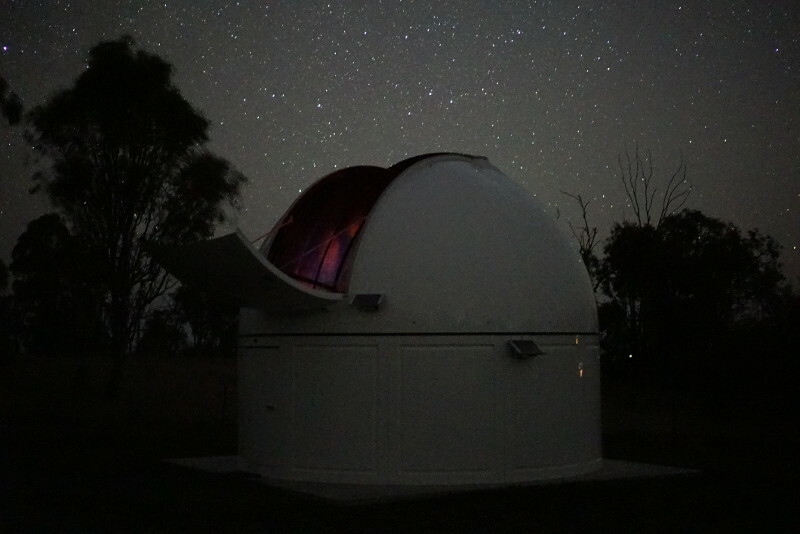 Kent observatory in August 2013 in a temporary dome. It was moved to this larger new dome in 2015, and is now in routine operation for teaching and research.